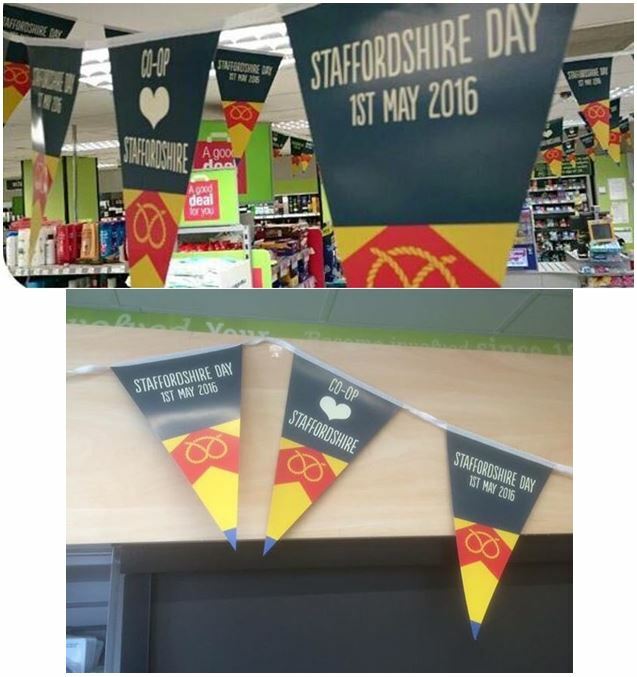 The flag of Staffordshire was registered on March 28th 2016. 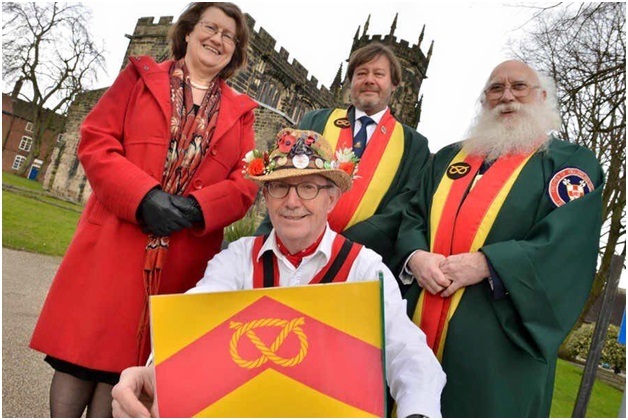 Categorised as a “traditional” design because of its centuries old association with the county, the flag was also the winner of an online poll of two competing proposals, held by the Flag Institute. 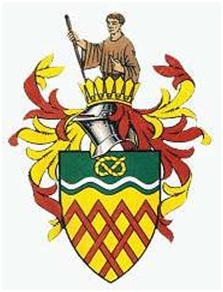 This traditional design, which had been submitted for registration by the Staffordshire Heritage Group, was declared the winner of the poll after securing 566 votes, 355 more than its competitor, the armorial banner of Staffordshire County Council. 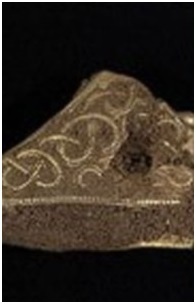 the large collection of Anglo-Saxon treasure unearthed in the county in 2009 and estimated to date from the seventh or eighth centuries, demonstrating a linkage with Staffordshire extending back some twelve hundred years! 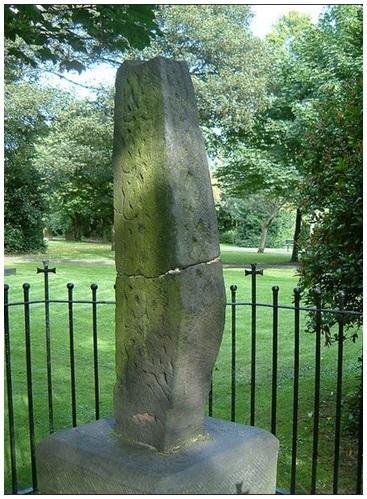 There are a number of stories relating to its origin. 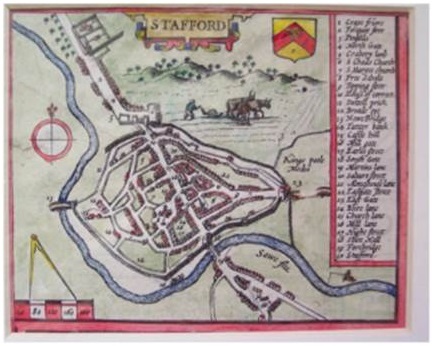 who defended a stronghold at Stafford, symbolically took off her girdle and said to the local lords: “With this girdle, I bind us all as one”, and the three areas became Staffordshire. 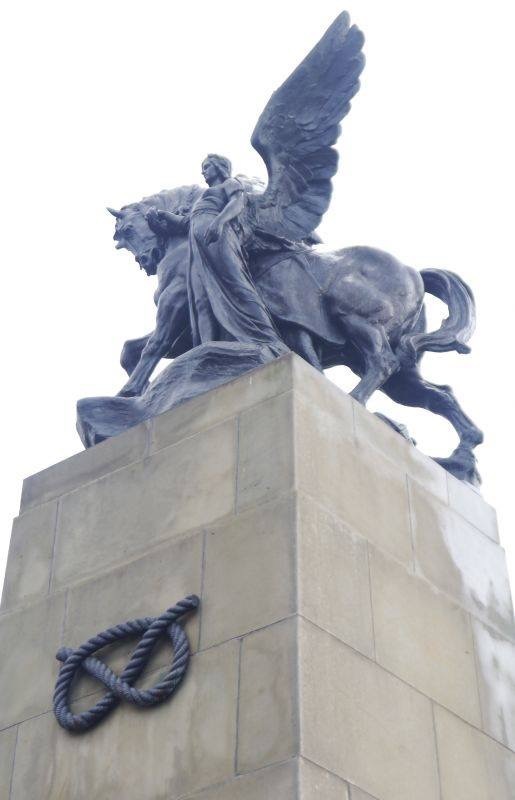 The anniversary of this event was celebrated in 1913, a thousand years after it was said to have happened. 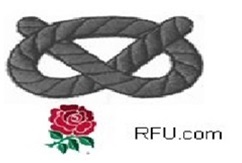 Another theory holds that the Knot forms the shape of a double ‘S’ representing ’’Stafford-Shire’’. 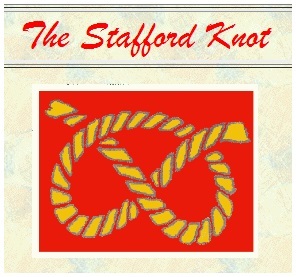 There is also a popular notion that the Knot originated when a Stafford County Sherriff invented it to hang three criminals at the same time. 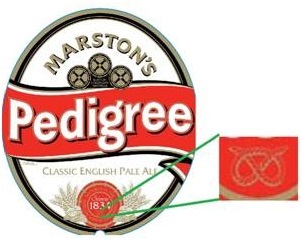 He only had one piece of rope but could not just hang one of the criminals as it would be unfair to the other two to give precedence to only one of the condemned! 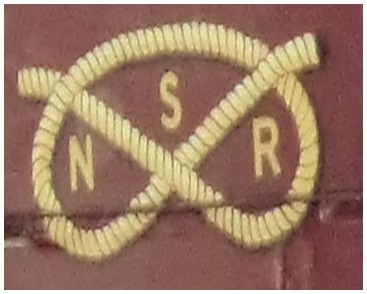 He therefore tied his single rope into three loops and dispatched of all three criminals at the same time. 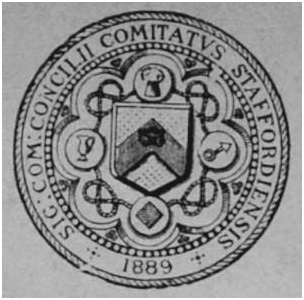 The Stafford Knot later appeared on the seal of Joan Stafford, Lady of Wake, who died childless in 1443. 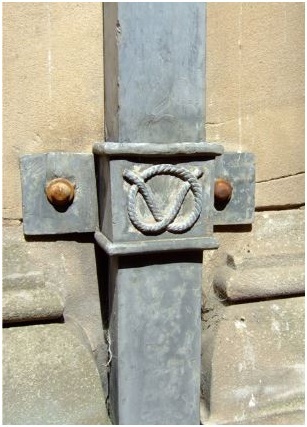 A descendant of Hereward the Wake, she may have inherited the device, described as the “Wake Knot”, from past generations. 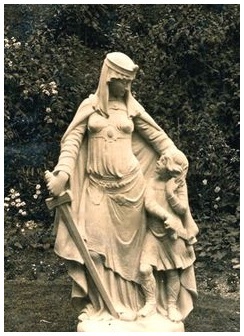 This artefact, now in the British Museum, passed upon her demise to her nephew, Humphrey, Earl of Stafford. 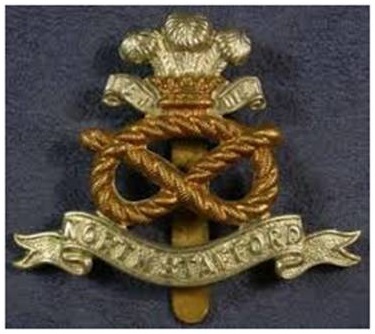 He adopted the knot, henceforward to be known as the Stafford Knot, as his badge, probably just preceding his creation as Duke of Buckingham in 1444 and it appears coloured gold, in abundance on his standard. 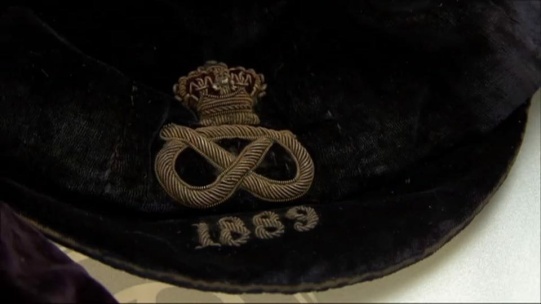 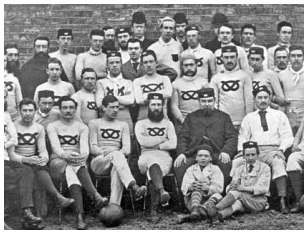 of West Bromwich Albion in season 1881-1882.
and is used by the Staffordshire Ruby Union. 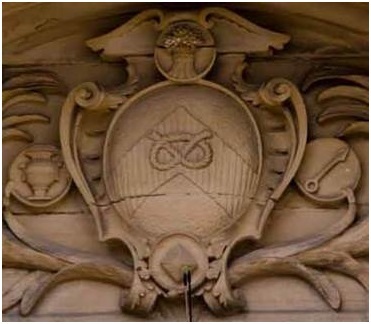 A Knot is proudly emblazoned on all the fittings of the council buildings in Martin Street, Stafford, including the drainpipes! 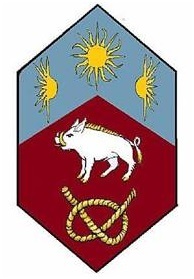 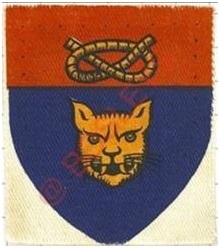 and the badge of the county scouts. 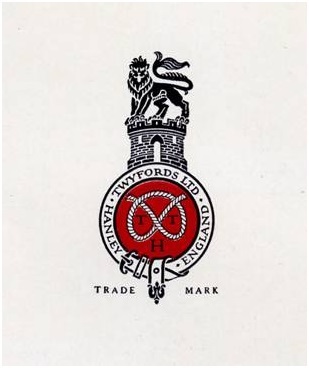 and is found on the label of a local dairy, to highlight its Staffordshire location. 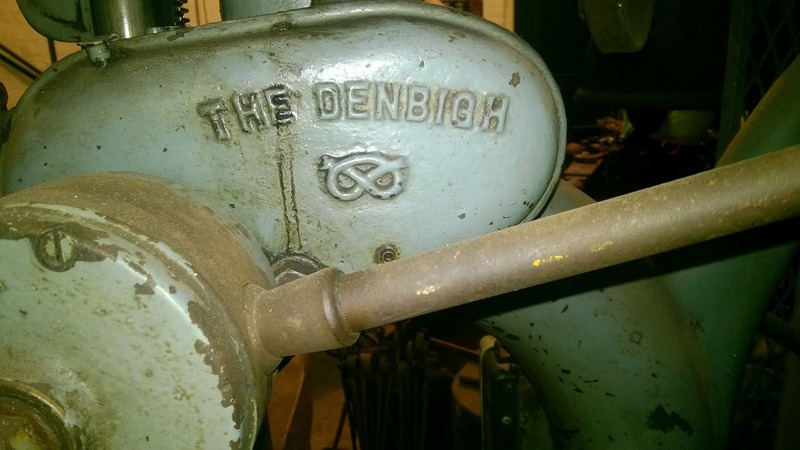 and is also seen on this ‘Denbigh’ drilling machine, manufactured in Tipton. 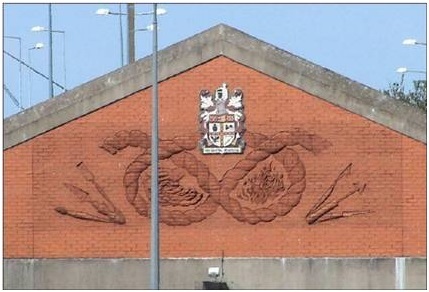 The categorical status of the Knot as the definitive county emblem is demonstrated on the county war memorial in Stafford. 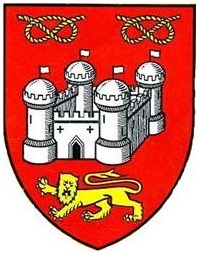 and a gold knot on a red background subsequently appeared on several of the civic arms of towns in the county; from left to right below, Stoke-on-Trent, Cosely, Tipton and Eccleshall. 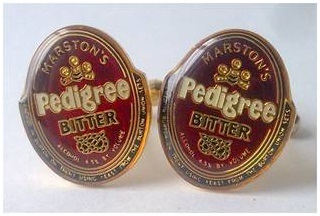 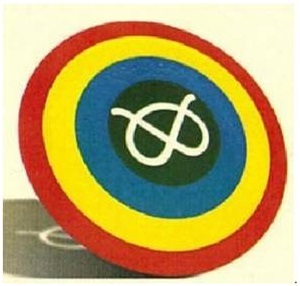 It appears on the badge of the Stoke-On-Trent, South Division, Girl Guides troupe. 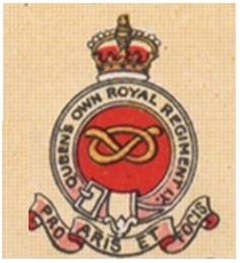 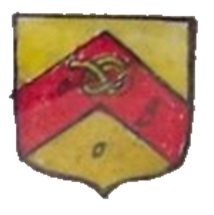 again, depicted in gold against a red background. 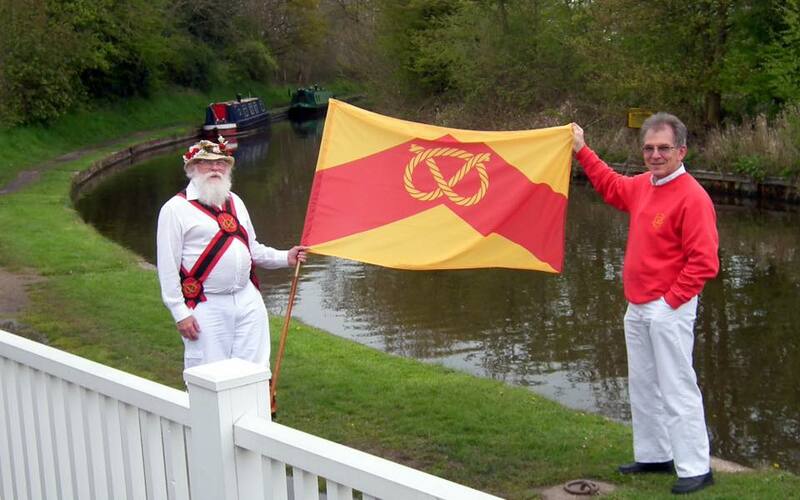 The Association of British Counties consulted with the Flag Institute, who agreed that this broad evidence presented a firm basis for registration of a gold knot on a red field, as the county flag of Staffordshire, if sufficient local support for the idea could be secured. 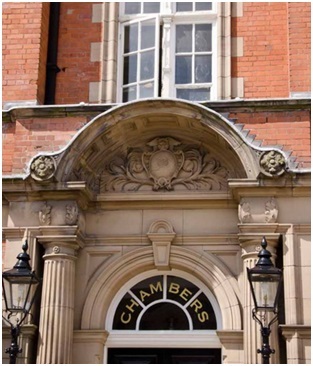 Despite consultation with numerous local groups – civic and historic societies, the necessary support for this proposal proved unobtainable. 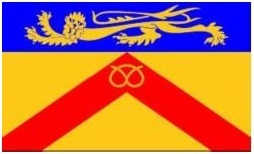 the shield from its coat of arms, in flag form, for general public use and subsequently applied to the Flag Institute to register this design as the county flag of Staffordshire. 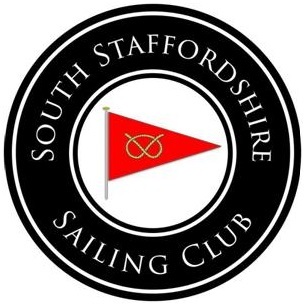 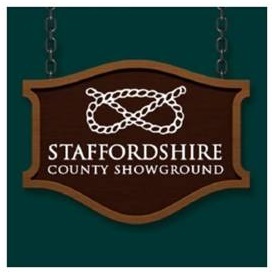 A campaign to make the public aware of this intention, entitled “Knot in my name” was begun by the Association of British Counties and upon learning of the plan, numerous residents and county groups in Staffordshire declared their opposition to this suggestion. 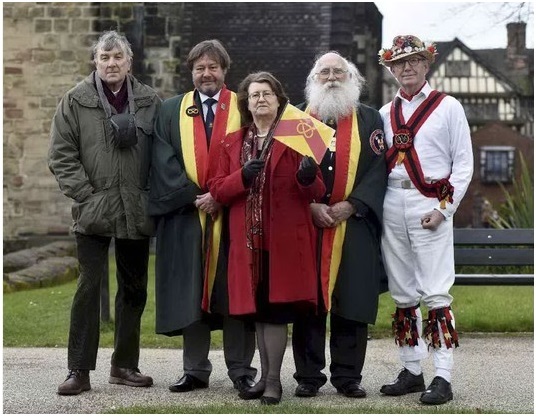 There were three principle reasons for discontent with the council’s banner. 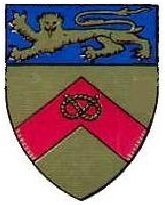 The inclusion of the lion, specifically intended to represent the council and symbolising its authority, which was not relevant on a flag for the county as a whole – such a charge also had no local tradition, the county of Staffordshire as an entity had never been associated with or represented by a lion symbol, it was neither representative of Staffordshire nor remotely unique, being an extremely common charge on flags and arms across the country and the world. 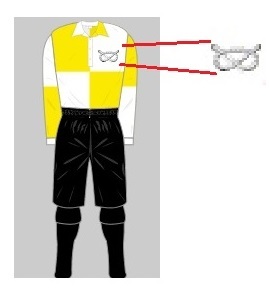 , it effectively disappeared from view when the flag was in motion. 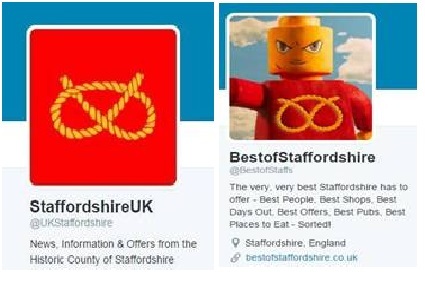 Staffordshire County Council actually only administered about 40% of the population of the county. 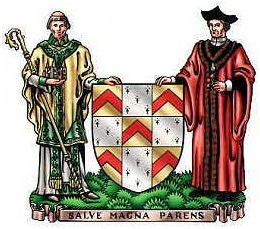 Great swathes of the historic county such as Wolverhampton, Stoke, Walsall and West Bromwich fell under the remit of other local authorities, the armorial banner of Staffordshire county council was therefore an inappropriate design to represent the entirety of the county. 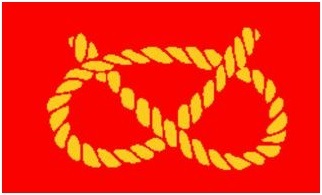 Additionally, although early examples seen on the Staffordshire Hoard and the de Stafford standard depicted the opposite, a local tradition had been established regarding the orientation of the Knot, summed up in the phrase “there are no leftovers in Staffordshire”. 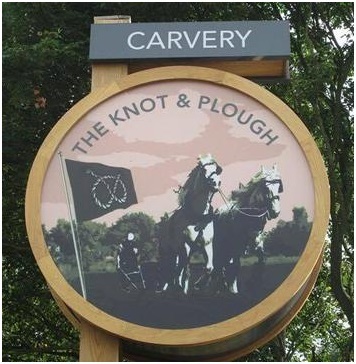 The knot on the council’s arms contravened this tradition. 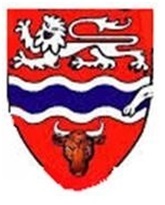 Responding to the evident opposition the Flag Institute agreed that if it received a formal registration request for an alternative design from an eminent county body, it would be given serious consideration. 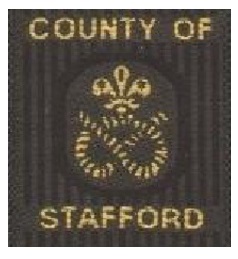 Further research regarding Staffordshire symbolism was conducted by Brady Ells on behalf of the Association of British Counties and an alternative design was duly proposed with a prominent depiction of the county’s unique emblem, the Stafford Knot, which would properly announce Staffordshire to the world when flying. 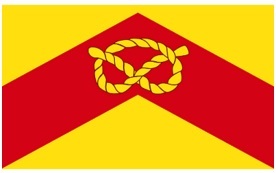 The arrangement of a Stafford Knot, upon a red chevron, against a yellow background, first seen on the Speed map, had become an accepted Staffordshire pattern by the twentieth century, being informally adopted by the county council, created in 1889, as the focal point of its seal. 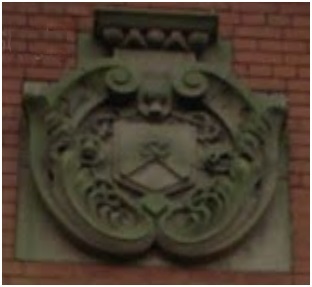 built in 1896 and now student accommodation for nearby Stafford College. 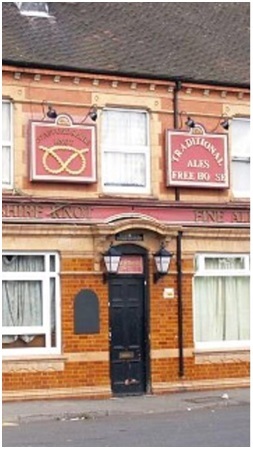 An extension on the back of this building was built in 1905 which again features the Chevron & Knot. 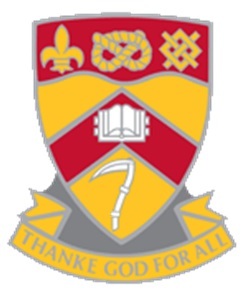 and as seen, the red chevron is present on the civic arms of Coseley and those of Keel University. 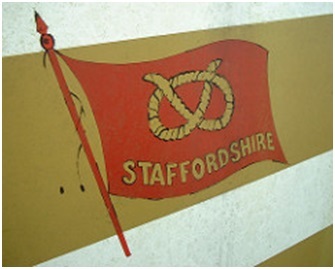 These examples underline the entrenched Staffordshire symbolism of the county flag, a combination of two long established county emblems, the Stafford Knot and the de Stafford arms. 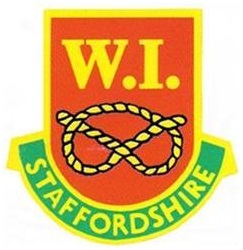 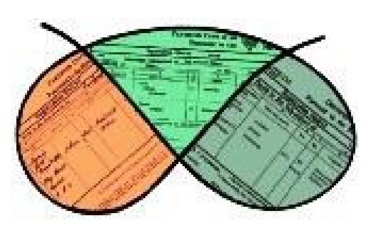 With receipt of this second registration request for Staffordshire, the Flag Institute, in an unprecedented move, decided to hold an online poll to allow residents of Staffordshire, including those living outside the territorial remit of the county council but within the historic boundaries of the county, to express their preference from the two designs. 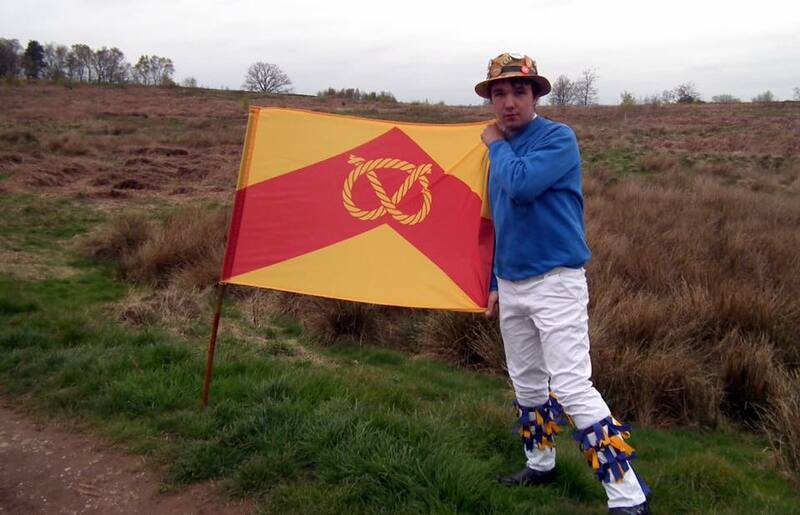 The Flag Institute liaised with the Staffordshire Heritage Group to perfect the realisation of the chevron and knot flag so that it matched the latter’s preferences and accorded more closely with traditional local depictions, including the appearance of the rope, and the size and orientation of the Knot. 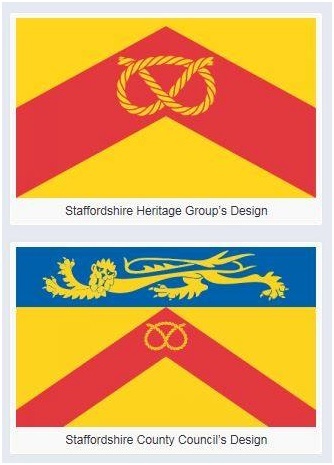 Staffordshire County Council subsequently chose to withdraw its registration request but having formally relinquished control over use of its armorial banner, the design’s inclusion in the online poll was maintained by the Flag Institute to enhance the legitimacy and democratic credentials of the winning design. 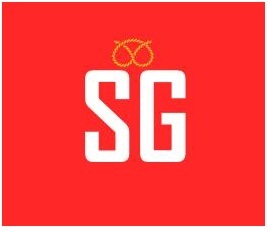 The SHG submission duly won the competition with 72.8% of the vote. 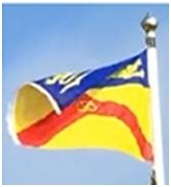 Prior to the registration, Staffordshire Council’s banner was sold commercially but inaccurately described as the flag of Staffordshire – it was not, it represented and continues to represent, just the body which administers a part of the county of Staffordshire and should only be flown by that body. 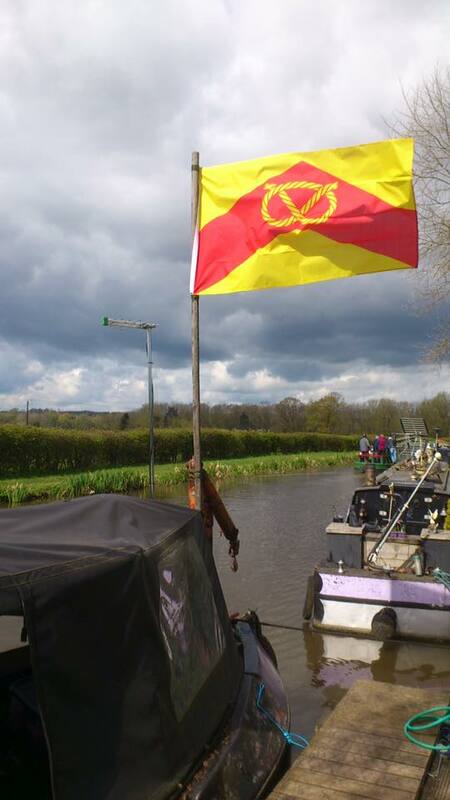 Subsequent research has further revealed that the council’s arms in flag form would probably have been ineligible for registration. 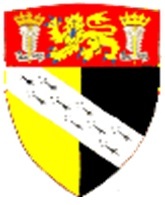 The gold lion ‘passant guardant’ which appears on these arms is a specific royal symbol, as found on the royal banner of England, whose use is much restricted, being granted only via a specific Royal Warrant whose terms of usage would not allow for this emblem to be used outside of its specific original remit, that is, as anything but the coat of arms of Staffordshire County Council. 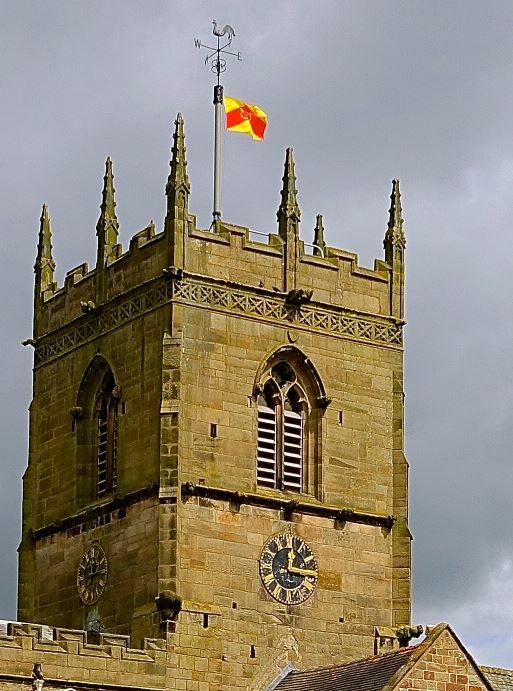 where John Edwards, of the Staffordshire Heritage Group, who finalised the design of the flag with the Flag Institute, wielded it proudly.